Ryeowook of the Super Junior has successfully finished the debut ceremony as solo held in Japan. Ryeowook, who released his Japan Original Single album ‘Sakura No Hana ga Saku Koro’ last 20th, and proved his explosive popularity by recording all three concerts ticket sales by holding ‘SUPER NUNIOR-RYEOWOOK Special Live ~ Bom Voyage’ showcase at MAIHAMA Amphitheater located inside the Disney Land Resort in Tokyo from March 20~21st. Ryeowook has performed the title song that has same name with the new album ‘Sakura No Hana ga Saku Koro’ as it’s opening and has also performed ‘Kimi ni deaete’, as well as ‘I’m not over you’, the title song of the 2nd mini album in Korea, ‘One and Only,’ ‘Drunk in the morning’ with his sweet voice. In addition, Ryeowook also rearranged the Super Junior-K.R.Y’s ‘Dorothy’, ‘Hanamizuki’, as well as the ‘Lo Sientro’, and ‘Opera’ of Super Junior and presented fun, and he also filled the whole 120 minutes with total of 14 tracks including the Japanese famous song ‘SKURA DROPS’, ‘Come, Spring’. 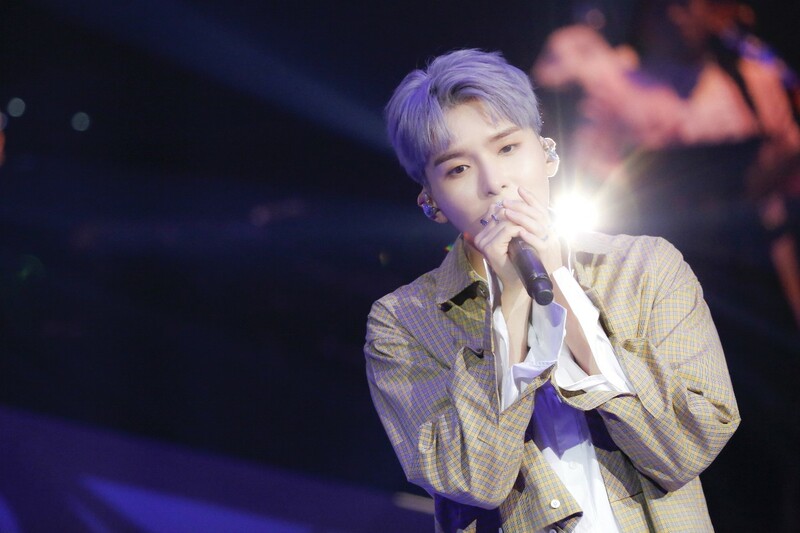 Ryeowook, who communicated with the audience with proficient in Japanese during the concert, expressed his impression about the showcase as, “I am very happy that we can be together. I will always be with you by your side. Thank you for coming and will become Ryeowook who will try more and more. Please support me and thank you.”. Meanwhile, Ryeowook is continuing his activities in various fields such as group album of Super Junior, release of solo album, as well as various entertainment programs and musicals.